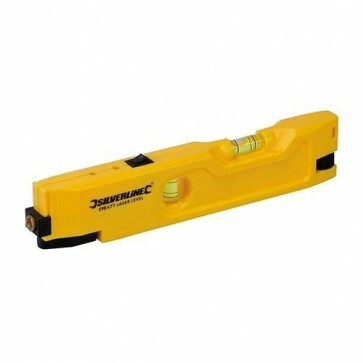 Brand New Mini Laser Level Handy laser level with projection range of up to 30m and fine adjustable level wheel. Magnetic base and high quality ABS plastic housing. 2 vials: 90° and 180°. Accurate to 0.5mm/m. Requires 2 x AAA batteries.